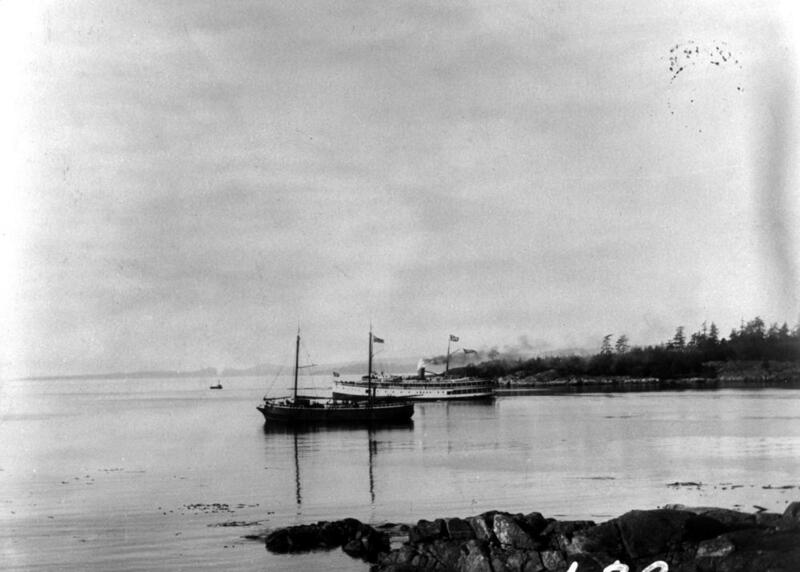 ItemB-01380 - SS Charlotte At Fort George Landing. Item A-00026 - Canadian Pacific Railway SS Charmer And SS Barbara Boscowitz Leaving Victoria Harbour. Restriction: image HP00139 is a glass plate negative. Researchers should consult the online reference image or reference room copy prior to consulting the original.